The science sector is a stable and strong contributor to the Irish economy, employing over 24,000 people, most of whom hold a third-level qualification. This sector has seen growth in exports and jobs even during the worst of the recent recession. This course is ideally suited for students who are interested in progressing to a third level course in a science related discipline. Modules taught include the core science subjects - Biology, Chemistry, Physics and Mathematics. The Mathematics module is accepted for entry to higher education courses. These modules (along with IT skills) form the basis of all first year third level science programmes. 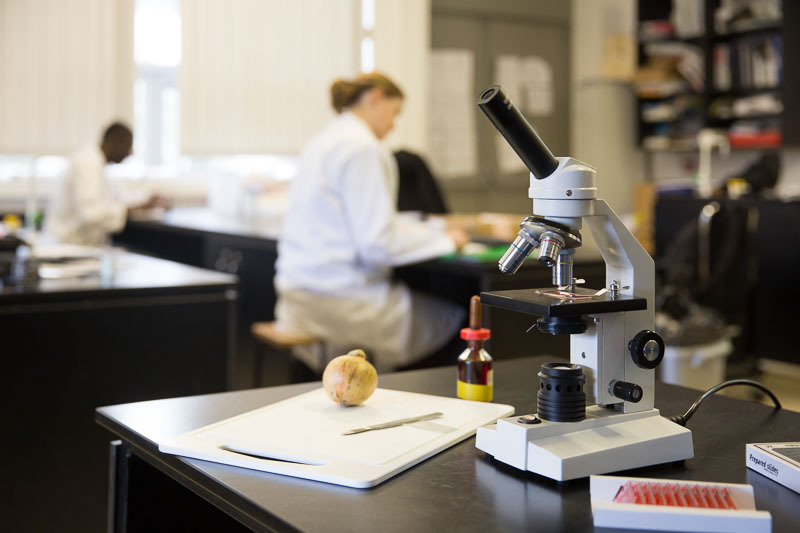 In addition, students study microbiology and anatomy and physiology, which will give students a firm foundation upon which to start their college career and a distinct advantage over students entering directly from school. The majority of our graduates progress to further study in higher education. Graduates of this course have a strong foundation in the skills required to obtain positions in laboratories or other science related areas such as biotechnology, pharmaceutical science, chemical and biochemical engineering. Graduates are eligible to apply through the CAO and/or the Higher Education Links Scheme for entry to year one of a range of higher certificate and degree programmes at Institutes of Technology and Universities (please check with the particular institution regarding local eligibility requirements).